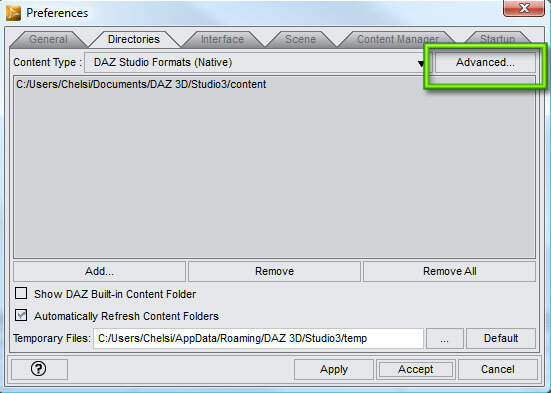 Go to the Edit Menu at the top of the DAZ user interface and select “Preferences”. Click on the “Directories” tab in the window that comes up, then the “Advanced…” button. The “Content Directory Manager” window will come up, expand the tree view that is presented in this window by clicking on all the pluses. 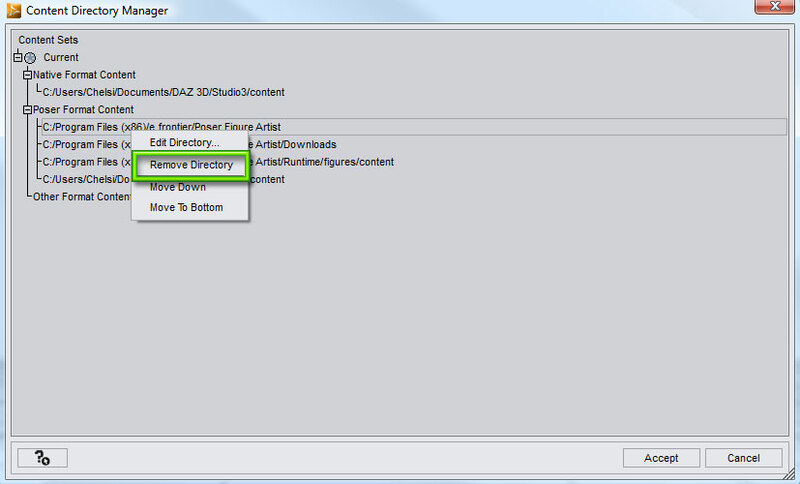 Highlight the directory entry that you want to remove, then right-click and select the “Remove Directory” option. Follow the above steps until all the directories that you don't want to appear are gone from the list in the “Content Directory Manager” window. Please note: This fix will revert to what you had before if you ask DAZ Studio to search for content again and you haven't cleaned up the folders that caused the problem in the first place.